UNP National List MP Professor Akshuboda Marasinghe yesterday charged that he was forced to step down from his post at the State Engineering Corporation in 2011 as he refused to approve vehicles being released to close associates of former Housing Minister Wimal Weerawansa. Professor Marasinghe came out with this allegation while responding to a statement by Joint Opposition MP Wimal Weerawansa who called for his arrest in Parliament on Tuesday. 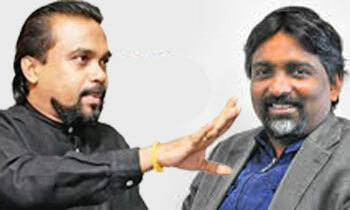 “There is no truth in what MP Weerawansa said about me as I never took a single vehicle illegally,” the MP added. Professor Marasinghe is your turn revenge is a good dish to be served in cold.